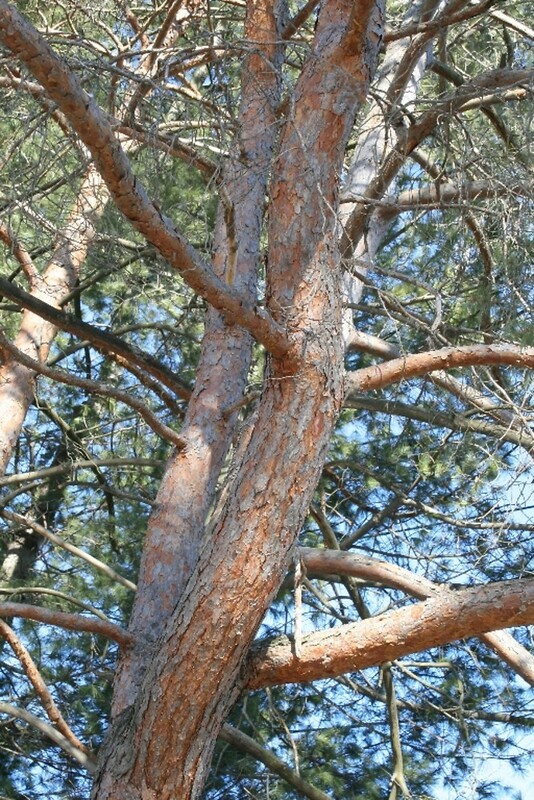 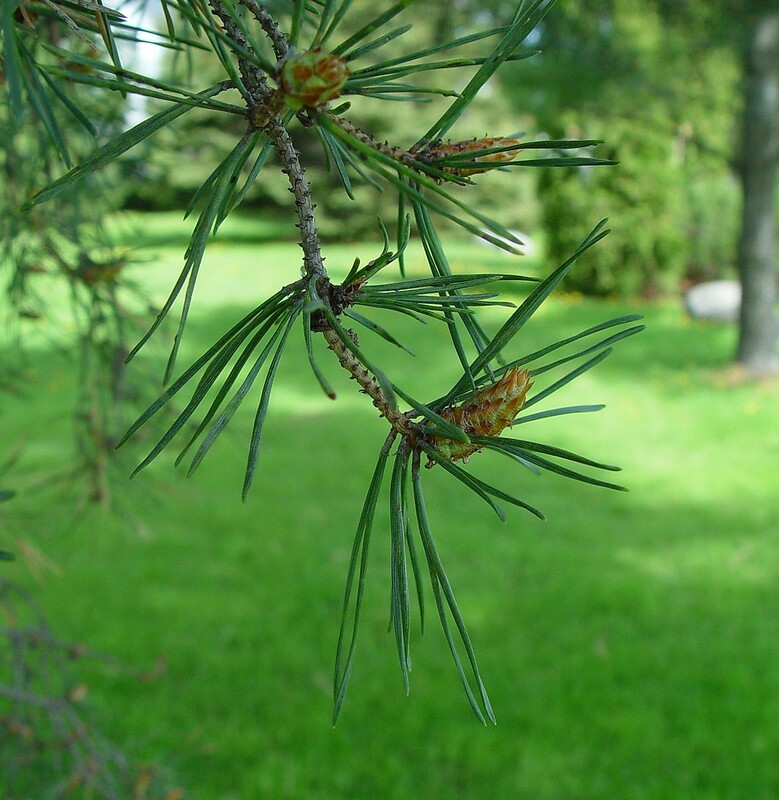 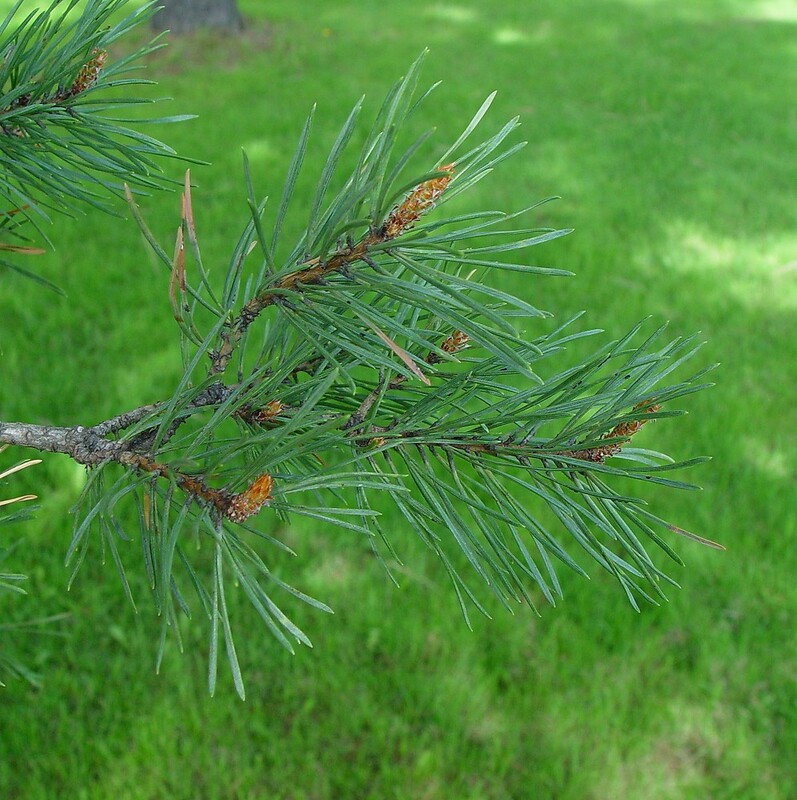 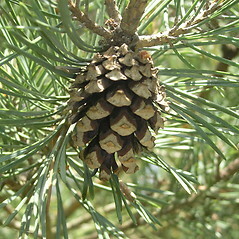 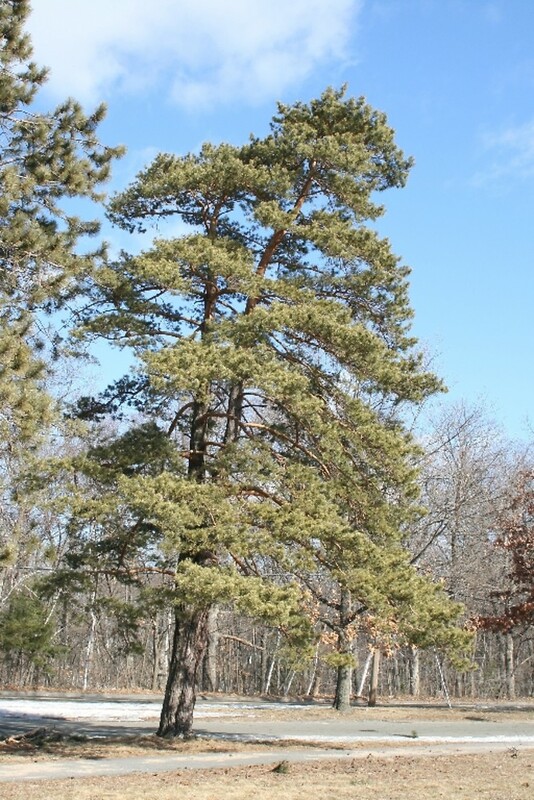 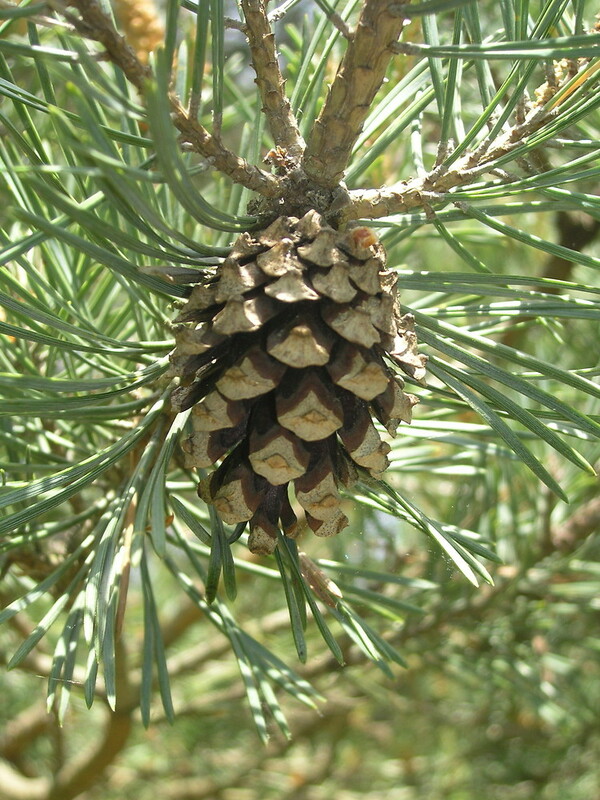 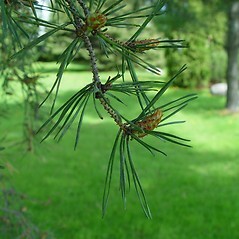 Scotch pine is not actually common in Scotland, but ranges from Norway to Spain and other parts of Eurasia. 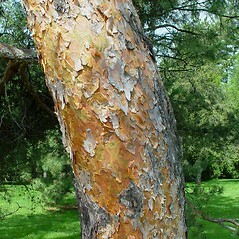 Many cultivars and varieties have been introduced to North America and are popular garden items for their blue-green needles and platy bark that peels to reveal reddish under-bark toward the top of the tree. 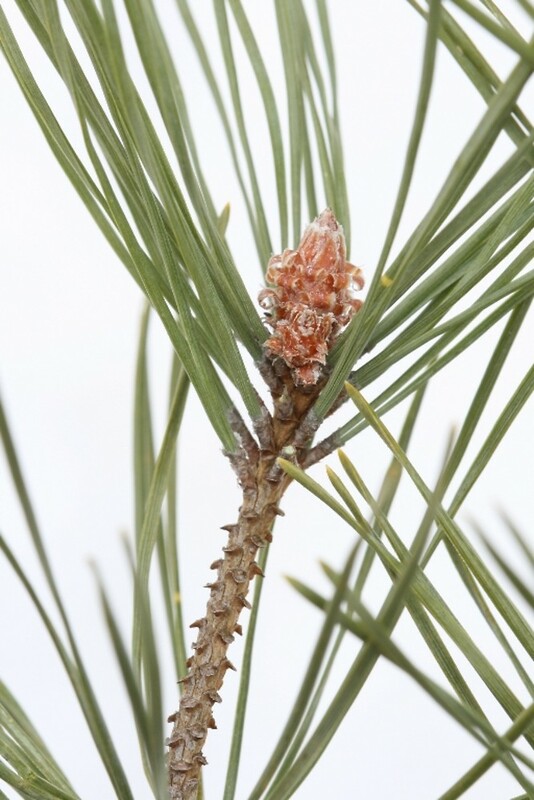 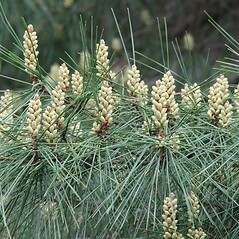 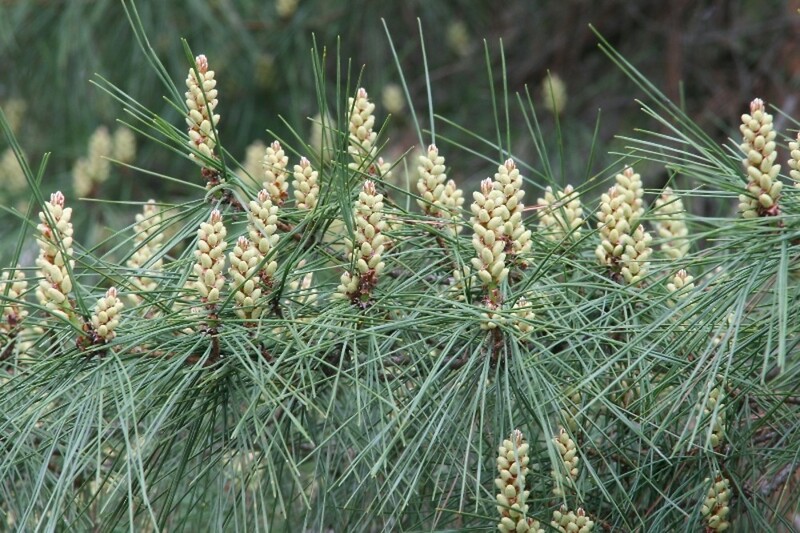 To distinguish it from other pines (except Pinus banksiana), look at the needles, which will undergo a full twist from the base to the tip. 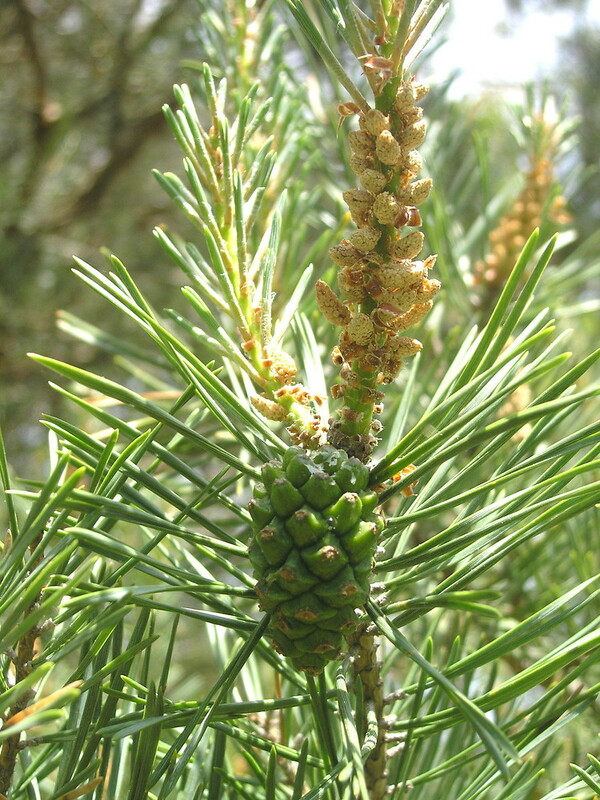 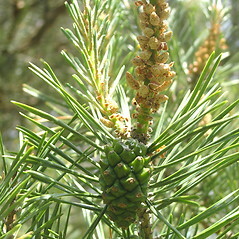 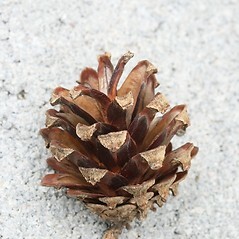 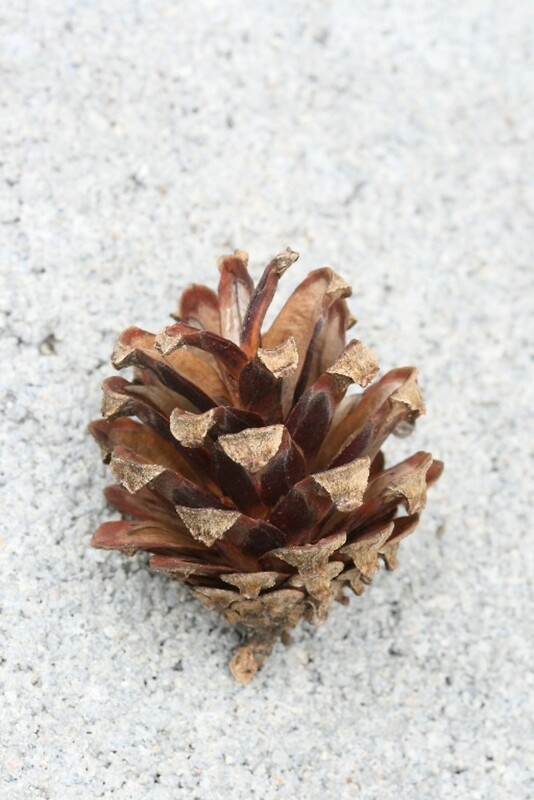 leaves mostly 2–3.5 cm long, not glaucous, larger branches gray-brown, and seed cones serotinous, persisting on plant for many years (P. sylvestris, with leaves 3–7 cm long, glaucous, larger branches orange-brown, and seed cones usually falling after second winter). 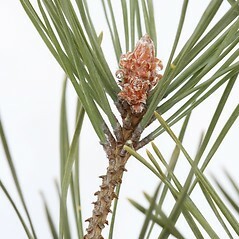 umbo encircled by a thin, dark gray to nearly black ring, low, multi-stemmed shrubs, and leaves relatively straight (vs. P. sylvestris, with the umbo without a dark ring, upright, single-stemmed, short to tall trees, and leaves twisted). 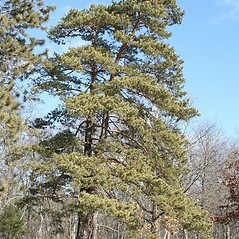 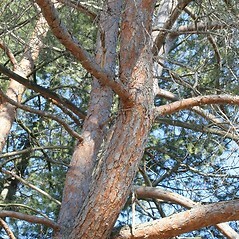 Scotch pine. 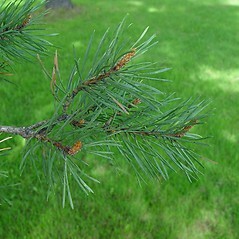 CT, MA, ME, NH, RI, VT. Forest edges, thickets, roadsides, persisting long after planting.